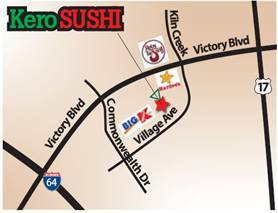 Kero Sushi serves traditional and innovative Japanese cuisine. The atmosphere is casual, while a modern and upscale design contribute to a relaxing and enjoyable dining experience. An eclectic sushi bar is paired with a full-scale Japanese kitchen offering traditional Japanese dishes.